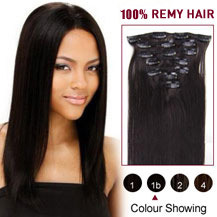 Market Hair Extension makes no warranties or representations express or implied regarding the quality, accuracy, completeness, timeliness, merchantability or fitness for purpose of any material in this website or products referred to in this website. Market Hair Extension makes no warranties that this website is free of human or mechanical error, technical inaccuracies or typographical errors. Market Hair Extension has adopted this Privacy Statement in order to inform you of its policies with respect to information collected from this Web site. Your use of this Web site constitutes your acceptance of this Privacy Statement and your consent to the practices it describes. When you visit the Market Hair Extension website, like when you visit most other websites, certain anonymous information about your visit is automatically logged, which may include information about the type of browser you use, the server name and IP address through which you access the Internet (such as “aol.com” or “earthlink.net”), the date and time you access the site, the pages you access while at the Market Hair Extension website, and the Internet address of the website, if any, from which you linked directly to the Market Hair Extension site. This information is not personally identifiable. Personally Identifiable Information is any information that concerns you individually and would permit someone to contact you, for example, your name, address, telephone/fax number, social security number, email address or any information you submitted to Market Hair Extension that identifies you individually. Registration Forms – If you are offered the opportunity to enter a promotion, to become a registered user of the Market Hair Extension website, or to opt-in to receive Market Hair Extension information through another site, you must apply by filling out the registration form on the site. This form requires certain personally identifiable information that may include, without limitation, your name, email address, postal address, telephone number, areas of interest, product usage, and/or a unique individual password. Transactions and Activity – If you become a registered user or if you conduct transactions through the Market Hair Extension website, Market Hair Extension collects information about the transactions you engage in while on the website and your other activity on the site. This information may include, without limitation, areas of the website that you visit, transaction type, content that you view, download or submit, transaction amount, payment, shipping and billing information as well as the nature, quantity and price of the goods or services you exchange and the individuals or entities with whom you communicate or transact business. Email and other voluntary communications – You may also choose to communicate with Market Hair Extension through email, via our website, by telephone, in writing, or through other means. We collect the information in these communications, and such information may be personally identifiable. Market Hair Extension uses the anonymous browsing information collected automatically by its servers primarily to help it administer and improve its website. Market Hair Extension may also use aggregated anonymous information to provide information about its website to advertisers, potential business partners and other unaffiliated entities. Again, this information is not personally identifiable. Market Hair Extension does not provide personally identifiable information to unaffiliated third parties for their use in marketing directly to you. Market Hair Extension may use unaffiliated companies to help it maintain and operate its website or for other reasons related to the operation of its business, and those companies may receive your personally identifiable information for that purpose. Market Hair Extension may also disclose personally identifiable information about you in connection with legal requirements, such as in response to an authorized subpoena, governmental request or investigation, or as otherwise permitted by law. Finally, as Market Hair Extension’s business develops, it may sell or buy corporate assets, and in such transactions customer information may be one of the transferred business assets. If Market Hair Extension, its Internet businesses, or substantially all of its assets, is acquired, customer information may be one of the assets transferred. This website is directed toward and designed for use by persons aged 13 or older. Market Hair Extension will not approve applications of, or establish or maintain accounts or memberships for, any child whom Market Hair Extension knows to be under the age of 13. Market Hair Extension.com does not solicit or knowingly collect personally identifiable information from children under the age of 13. 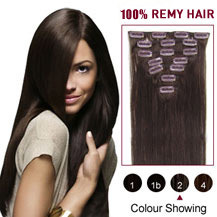 If Market Hair Extension nevertheless discovers that it has received personally identifiable information from an individual who indicates that he or she is, or whom Market Hair Extension otherwise has reason to believe is, under the age of 13, Market Hair Extension will delete such information from its systems. Additionally, a child’s parent or legal guardian may request that the child’s information be corrected or deleted from Market Hair Extension’s files by contacting us. The Market Hair Extension website’s server, or the servers of companies that are used to operate this site, may place a “cookie” on your computer in order to allow you to use the website and to personalize your experience. A “cookie” is a small piece of data that can be sent by a web server to your computer, which then may be stored by your browser on your computer’s hard drive. Cookies allow Market Hair Extension to recognize your computer while you are on its website and help customize your online experience and make it more convenient for you. Cookies are also useful in allowing more efficient log-in for users, tracking transaction histories and preserving information between sessions. The information collected from cookies may also be used to improve the functionality of the website. Market Hair Extension uses pixels, or transparent GIF files, to help manage online advertising. These GIF files are provided by our ad management partner, DoubleClick. These files enable DoubleClick to recognize a unique cookie on your web browser, which in turn enables us to learn which advertisements bring users to our website. The cookie was placed by us, or by another advertiser who works with DoubleClick. With both cookies and Spotlight technology, the information that we collect and share is anonymous and not personally identifiable. It does not contain your name, address, telephone number, or email address. Market Hair Extension maintains physical, electronic, and procedural safeguards to help guard personally identifiable information. If transactions are offered on the site, transaction information is transmitted to and from Market Hair Extension in encrypted form using industry-standard Secure Sockets Layer (SSL) connections to help protect such information from interception. Market Hair Extension restricts authorized access to your personal information to those persons who have a legitimate purpose to know that information to provide products or services to you and those persons you have authorized to have access to such information. Please be aware, however, that any email or other transmission you send through the Internet cannot be completely protected against unauthorized interception. In order to provide service to you, Market Hair Extension will send you communications related to your transactions, security or the administration of its website. From time to time, Market Hair Extension and its affiliates may also wish to send you other messages or updates about Market Hair Extension, its affiliates, or their promotions and other activities. If you do not wish to receive non-transaction/security related communications from Market Hair Extension and its affiliates, please contact us. Market Hair Extension allows you to change, update, or delete the information you may provide in your optional registration form. If you would like to change, update, or delete your personal information, please contact us. 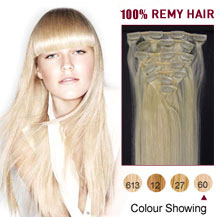 Market Hair Extension reserves the right to modify or supplement this policy at any time. If a material change to the terms of this policy is made, Market Hair Extension will post a notice on its homepage and a link to the new policy.